Celebrating the Holiday Season with our BIGGEST Corvette Sale of the Year! Our Black Friday Sale on all In-Stock Corvettes Starts NOW!! Up to $12,000 OFF MSRP on Select 2018 Corvettes! 20% OFF OR MORE - 2017 Corvettes - Just 4 More Days Left! Celebrating the Start of Fall with Fantastic Savings on all 2017 Corvettes! We Ship Them Out as Fast as They Come In! Best Corvette Pricing Extended for Valentines Day! 14% Off Select 2017 Corvettes! 15.5% Off Select 2017 Corvette Grand Sports! Select Bonus Tag Incentive and 13% Off - NO DEALER DOC FEES - at MacMulkin Corvette! 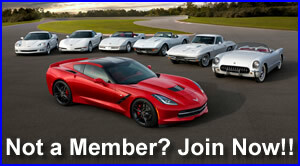 Corvette Owner Loyalty and Super Tag Bonus Specials are Back for January! 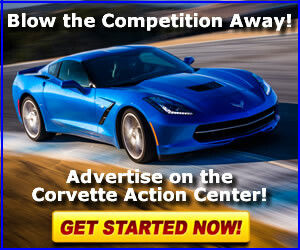 Take Advantage of the Best Corvette Discounts in the Country!! AVAILABLE! 2017 Corvette Collector Edition Grand Sport #86 out of 850 Built! HUGE Discounts on 2017 Corvettes - 4 Days ONLY!! SUPER TAG SALE - 2017 Corvettes! 72-Hour Corvette Inventory BLOWOUT Sale! Find New Roads with a 2017 Corvette Grand Sport Incentive! The Last of the 2016 Corvettes at 20% OFF!! Select 2017 Corvettes Include 13% Off Discount! Bonus Tag Sale - 2017 Corvette Grand Sports! MacMulkin Corvette Announces Allocation for 13 2017 Corvette Grand Sport Collector Editions! New Arrival: 2017 Corvette Grand Sport in Black Rose Metallic! LIMITED TIME OFFER!!! 20% Off Select Bonus Tag 2016 Corvettes!! TIME IS RUNNING OUT! 20% Off ALL 2016 Corvettes!! LIMITED TIME OFFER!!! 20% Off All 2016 Corvettes!! GM Brings Back Conquest Incentive on 2016 and 2017 Corvette For the Rest of August! 2017 Corvette Grand Sports Arriving! Red-Hot Summer Blowout on All In-Stock 2016 Corvettes! Grab a 2016 Corvette Z06 While They Last! SELECT 2016 Corvettes Available - Additional $1,000 Off!